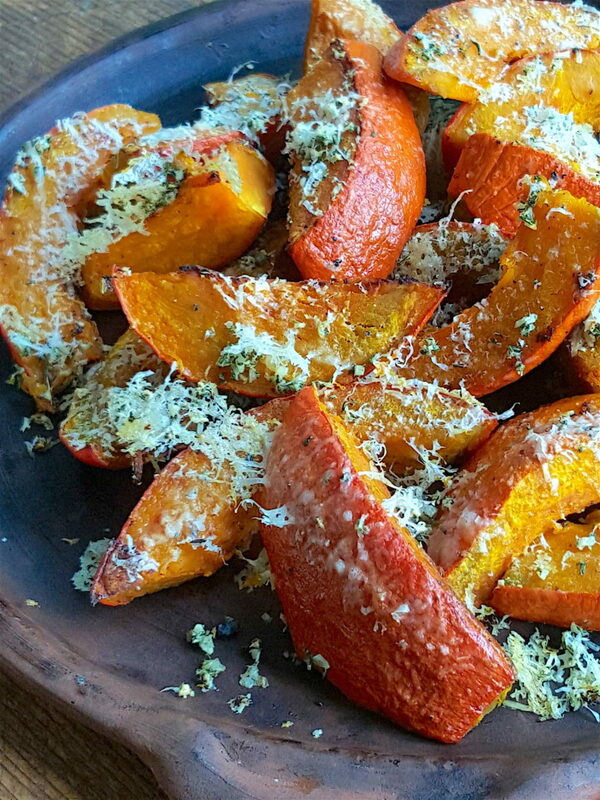 Baked parmesan pumpkin is delicious. It needs a light brush with oil but mustn't be saturated. Shower with garlic, rosemary & parmesan and bake till golden.